Do you love Fire and Balls and want to relax a bit? 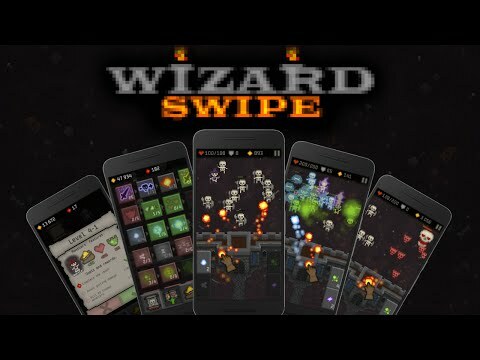 Then play Wizard Swipe and throw Fireballs at skeletons! • Simple control! Fling fireballs by swiping, or hold them to get a powerful blast! • Enormous talent tree! Become a master of all five elements: fire, ice, air, acid and lightning! • You won’t get bored! The levels are generated from scratch every time! • Unlimited amount of levels! You get bigger rewards and stronger monsters the further you progress! • Do you want to show your skill? Complete objectives and get additional rewards! • Levels with bosses! Choose a specific tactic and defeat them with the help of guile and spell combos. • Are you still wondering if it’s worth playing? Try it – it’s free!